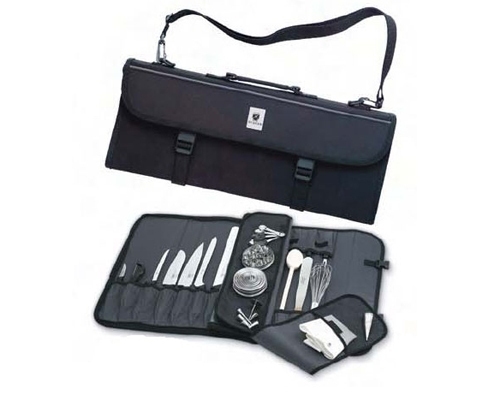 This set does NOT include a knife bag. 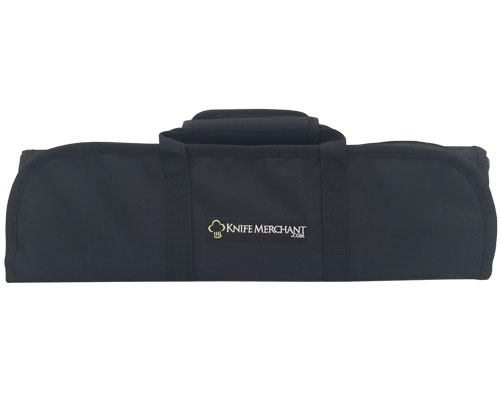 Knife bag must be purchased separately. 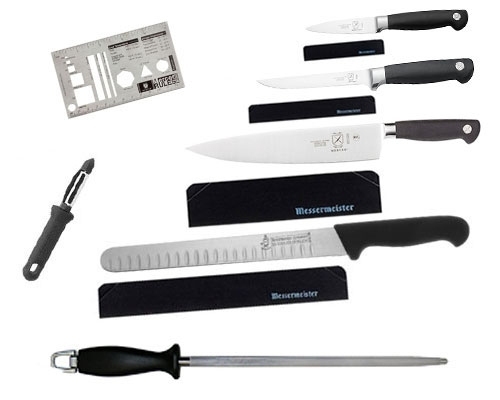 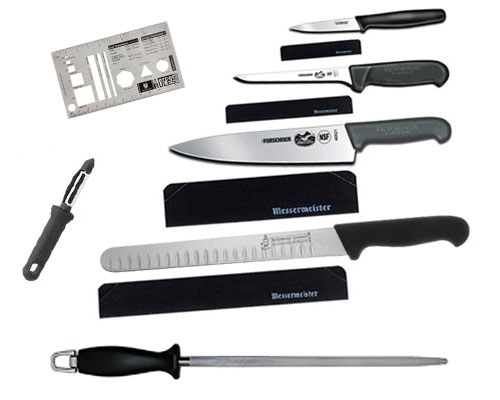 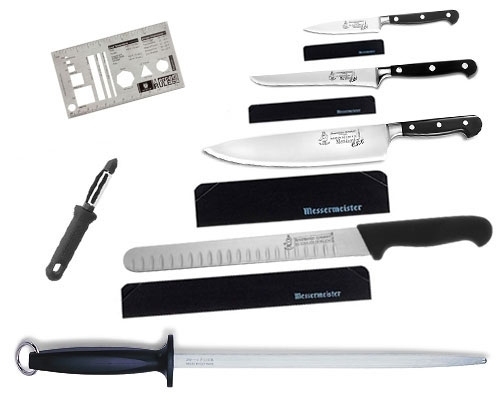 This is the basic kit, the knives are Forschner Stamped Knives.